Help Us Choose A New Pie Flavour For Pie Week 2014 | Three Cheers Pub Co.
We’re going pie crazy this year at Renaissance Pubs in celebration of Pie Week 3rd – 9th March, 2014. 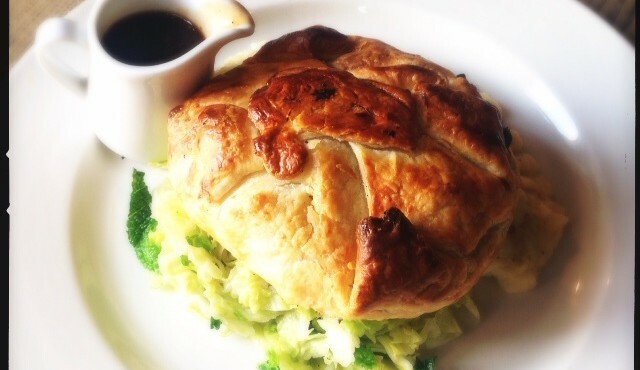 Try our ‘trio of pies’ on offer at all of our pubs between 3-16 March (because one week’s just not enough!). For just £5 the homemade platter will be made up of three tempting pie classics: Pork Pie, Steak & Ale Pie and Locks Drove Chicken Pie. Plus, you’ll find more pies on our specials boards all served up with creamy mash and greens – yum! And don’t forget, a pie tastes best with a pint of ale. This March, keen pie makers, alchemists and pub punters will be invited to send in their vote for a brand new pie flavour. From creative concoctions to classic British favourites all ideas will be considered and then put to the test of executive head chef Massimo Tebaldi who will turn one foodie’s pie dream into reality. *Our winner will see their pie flavour immortalized on all of our pub menus. *Our winner will also be treated to a pie banquet, along with three lucky friends who will be the first to sample the pub group’s latest pie alongside beers and wine. Simply send us your suggested pie flavour between now – Sunday 16th March 2014.